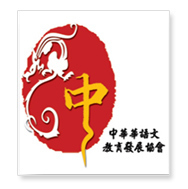 The International Association for Teachers of Chinese to Speakers of Other Languages (TCSOL) is a professional organization devoted exclusively to the study of Chinese language, culture and pedagogy. Its main objective is to conduct training programs for Chinese teachers through seminars and workshops, organize study tours and engage in R&D in Teaching Chinese as a foreign language (TCFL). TCSOL in a non-profit organization registered in the state of Delaware, USA, and Division of Incorporation to conduct teachers training with the file number: SRV 060344099. The association grants TCSOL awards to trainees upon completion of training course including written and oral (Chinese Proficiency) test. EDI (Education Development International) is a leading National Awarding Body in UK specializing in providing, quality assuring and certificating vocational learning programs. EDI is recognised in the U.K by the Department for Education and Skills (DfEs), Learning Skills Council (LSC) and the Qualifications & Curriculum Authority (QCA) and thus the qualification is accredited by the QCA in England, by the CCEA (Council for the Curriculum Examinations and Assessment) in Northern Ireland and by the ACCAC (The Qualifications, Curriculum and Assessment Authority) in Wales. EDI is recognised to provide awards to the NQF (National Qualifications Framework). Accreditation by EDI is a guarantee of quality. It means that a learning programme has been scrutinised and approved by an independent panel of experienced educational professionals and is quality audited annually by EDI. The centre delivering the programmes has been licensed by EDI on the basis of its own quality systems. TCSOL program leads internationally recognised EDI (NVQ 4) Awards through affiliation from the Chinese Language Education Association (CLEA) in Taiwan. It is independently accredited at a level of learning equivalent to level 4 on the National Qualifications Framework (NQF) for England, Wales and Northern Ireland. EDI awards are also widely recognised in the European Union. The Quality Assurance Commission establishes academic, institutional, ethical and business standards; examines and evaluates programmes in terms of these standards; and grants accreditation to education programmes from all over the world. The Quality Assurance Commission examines and evaluates programmes in terms of applicable QMS standards; and grants certification to education institutions from all over the world. 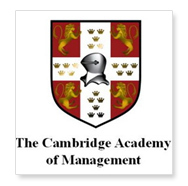 Degree Recognition Certificate – Foreign Credentials Evaluation. 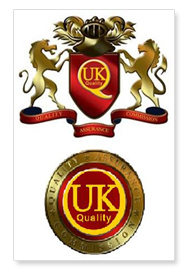 The Quality Assurance Commission is also engaged in international credentials evaluation by recognition of qualifications alignment to the UK Qualifications and Credit Framework. Graduates from accredited institutions or programmes may ensure and demonstrate that their education diploma, earned credits and awarding institution are considered to be bona fide and accredited according to The Quality Assurance Commission standards by requesting a Recognition Certificate."